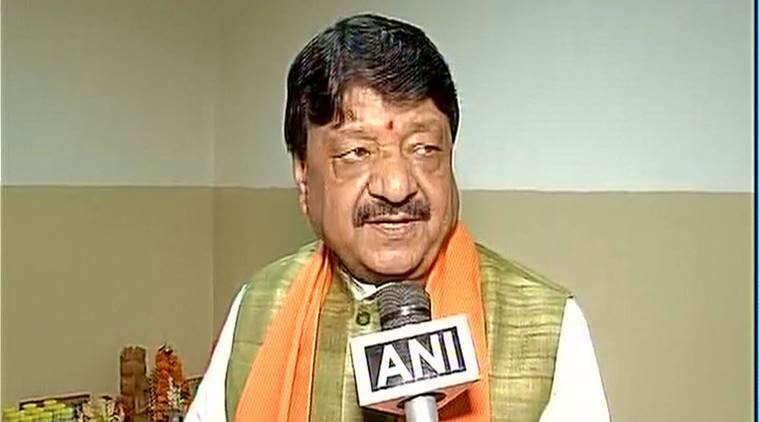 Vijayvargiya said he had already informed BJP national president Amit Shah about the incident. Vijayvargiya; above, accused the police of filing false cases against the BJP activists and challenged the TMC and the administration to prove the cases in the court. BJP national general secretary Kailash Vijayvargiya on Thursday rubbished the police allegations that BJP activists threw bombs and set a police vehicle on fire during their march to the police headquarters in Kolkata. He said BJP will move court against the ‘political conspiracy’ of Kolkata Police and Trinamool Congress (TMC). BJP workers today clashed with the police at different places across the city during their march to the police headquarters demanding arrest of ‘corrupt’ TMC leaders, prompting the force to use teargas shells, water canons, and batons to disperse them. Joint Commissioner of Police (Hq) Supratim Sarkar said that BJP workers threw petrol bombs and stones at the police near the office of the Tea Board on Brabourne road without any provocation. A police vehicle was set on fire on B B Ganguly street while some police vehicles were damaged, allegedly by BJP workers, on Central Avenue and Bentinck street. Vijayvargiya accused the police of filing false cases against the BJP activists and challenged the TMC and the administration to prove the cases in the court. “We were arrested and the Kolkata police is filing false cases against BJP activists. I challenge TMC and Kolkata Police to prove even a single case against us. None of the BJP workers had thrown bombs or set fire on police vehicles. This has been done by police and TMC goons to malign us,” Vijayvargiya told PTI over phone. Vijayvargiya, state chief Dilip Ghosh, BJP national secretary Rahul Sinha, party Rajya Sabha MP Roopa Ganguly and state secretary Locket Chatterjee were among those arrested during the protest-agitation. Vijayvargiya threatened to seek legal course of action if ‘false cases’ against BJP activists are not dropped. “If these false cases are not dropped we will move to the court to seek justice. I challenge the police administration and TMC to prove even a single case against us. If was police which used force, none of our party workers attacked the police,” he said.